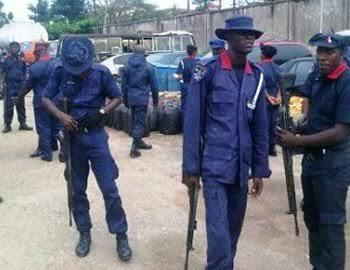 The Nigeria Security and Civil Defence Corps (NSCDC), Jigawa Command, has recovered about N17.3 million as debts from some residents of the state between January and September. The Spokesman of the command, DSC Adamu Shehu, disclosed this to the News Agency of Nigeria (NAN) in Dutse on Tuesday. Shehu said that the amount was recovered following complaints the command received from aggrieved creditors within the period under review. He explained that between January and March the command recovered N3,934,485 as debt, while N6,307,620 was recovered between April and June. According to him, between July and September, N7,018,625 was recovered by the Corps. The spokesman said the command’s Peace and Conflict Management Unit (PCMU) had amicably resolved disagreements between the debtors and their creditors. He said the command had handed over the recovered funds to their owners after the resolution of the disagreements. He said the corps would continue to ensure that residents of the state lived in peace and harmony.